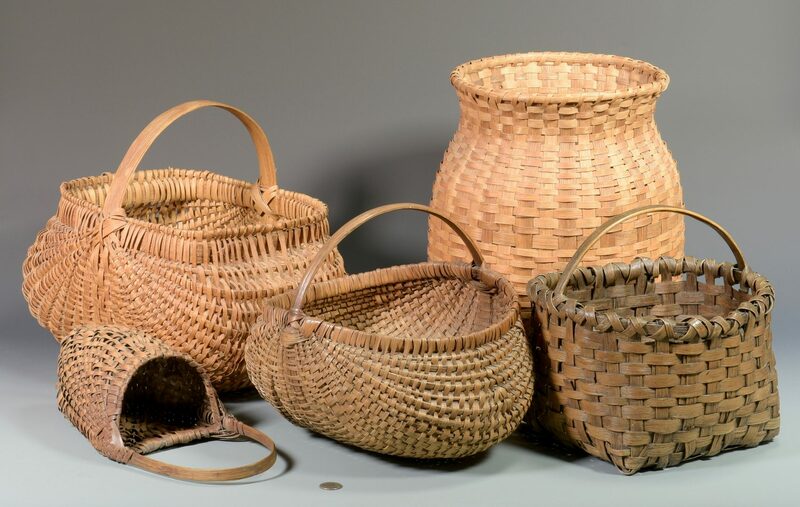 Group of Five (5) East TN/Appalachian/Cherokee Baskets. 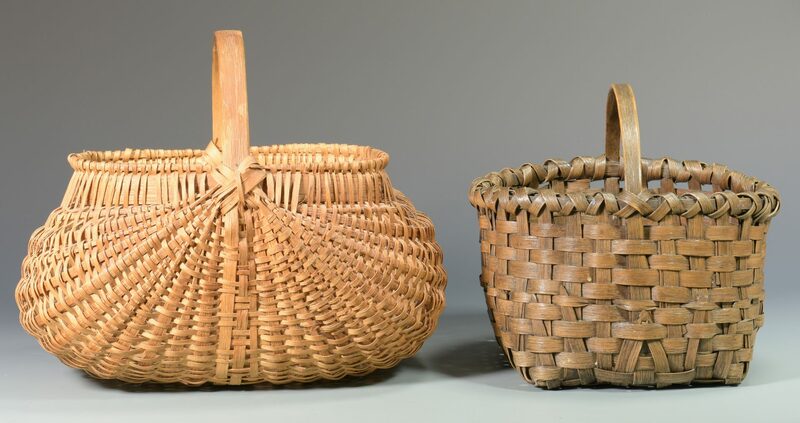 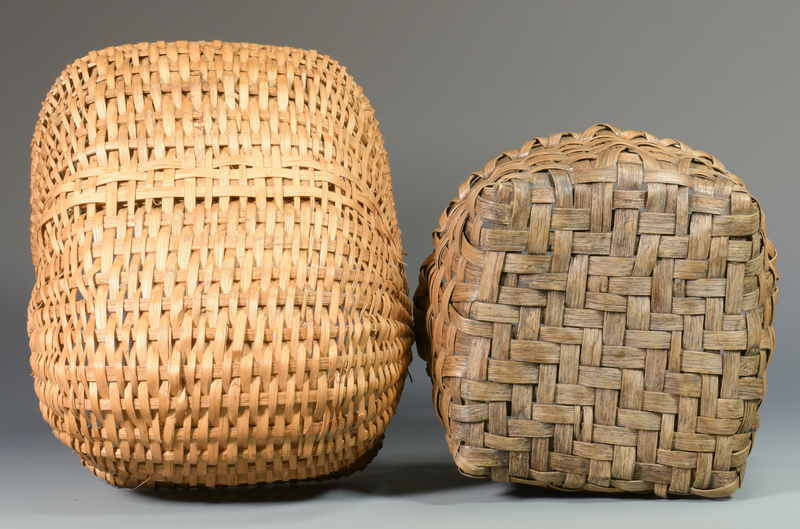 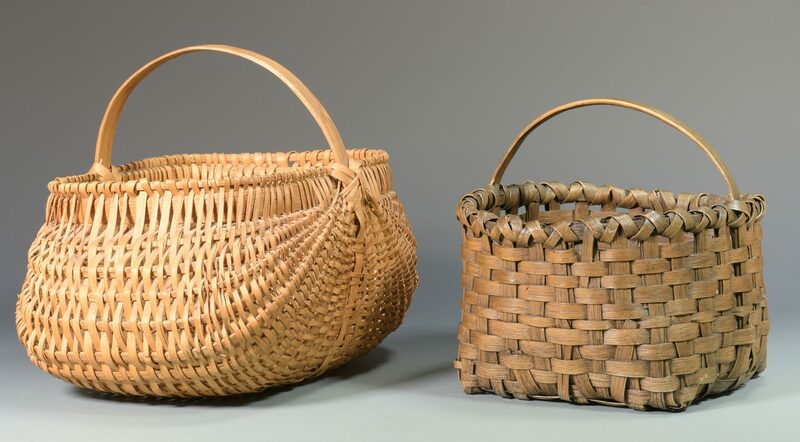 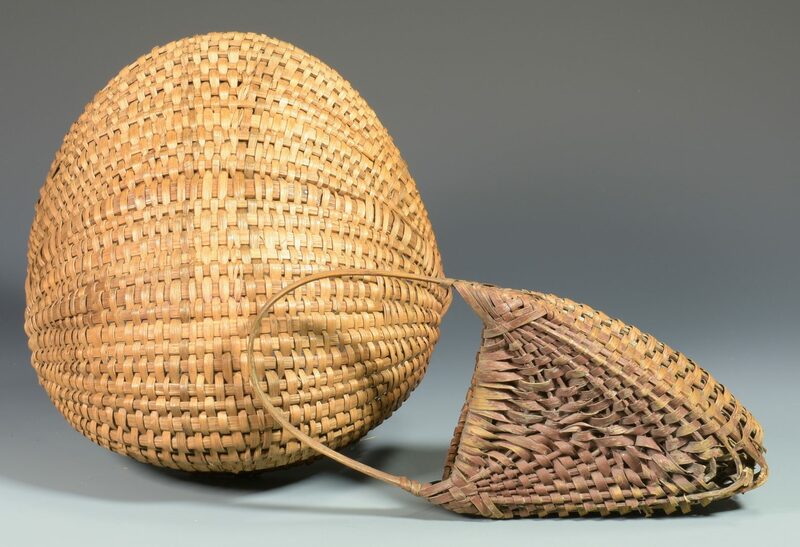 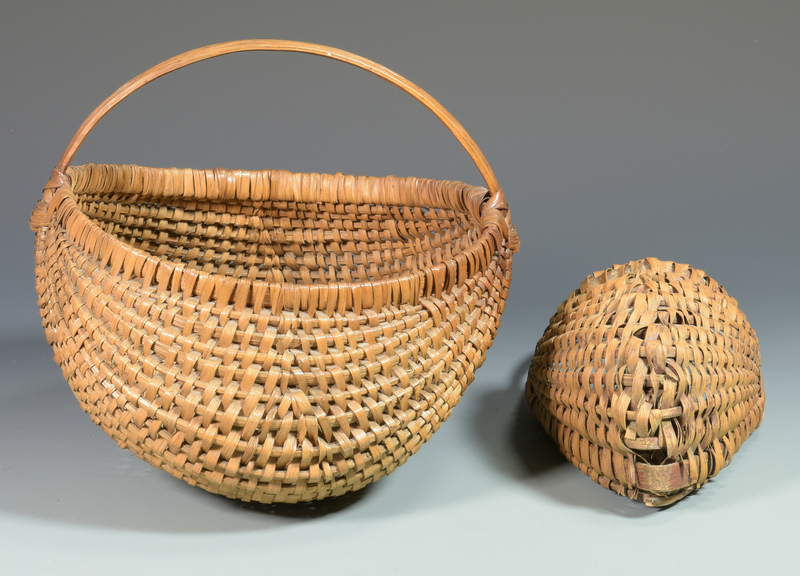 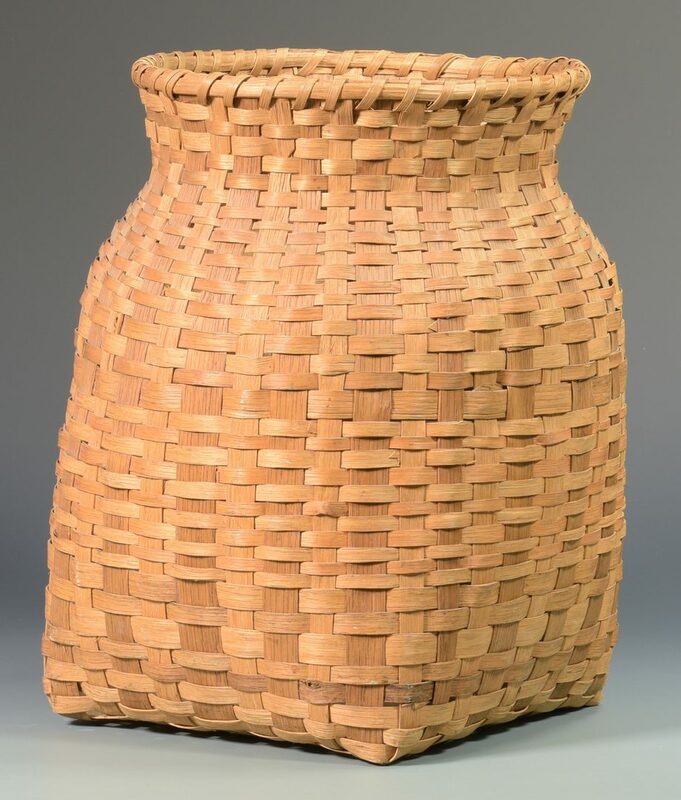 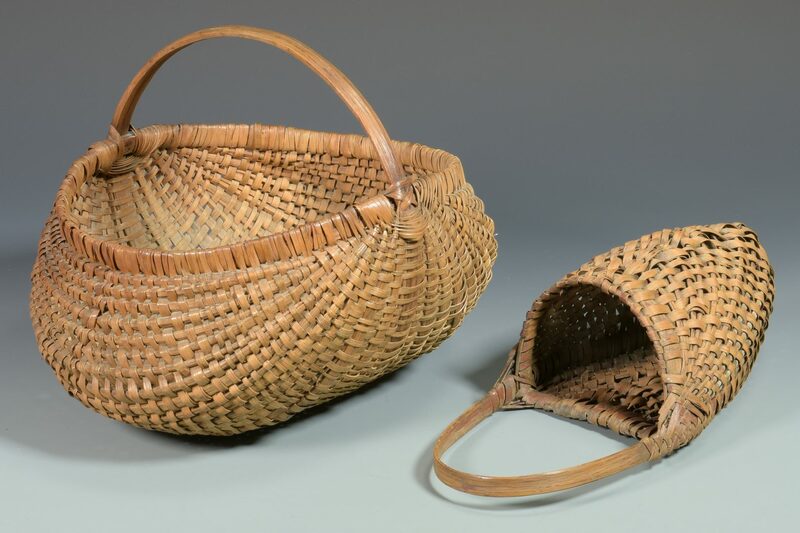 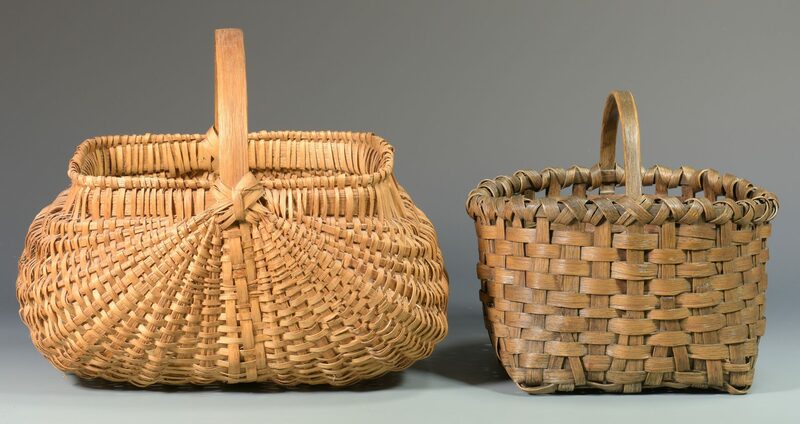 1st-2nd items: Two East TN/Appalachian ribbed split oak buttocks baskets with nailed construction. 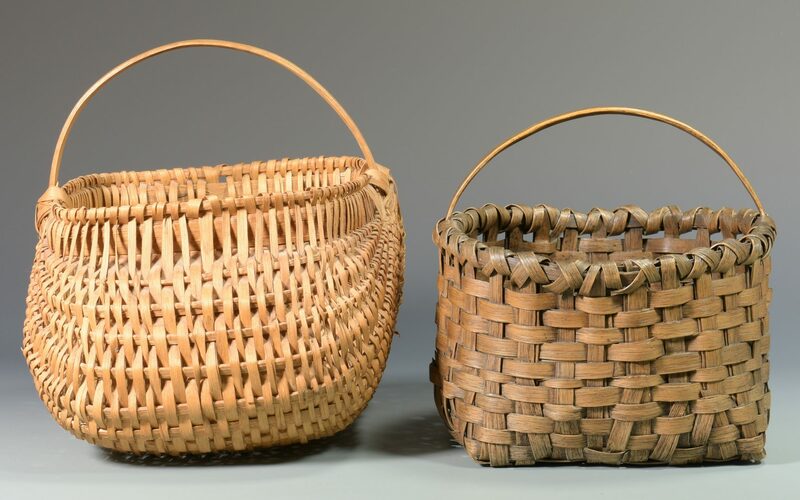 10 1/2" H x 14" W and 13" H x 16" W. 3rd item: East TN/Appalachian split oak gathering basket with handle. 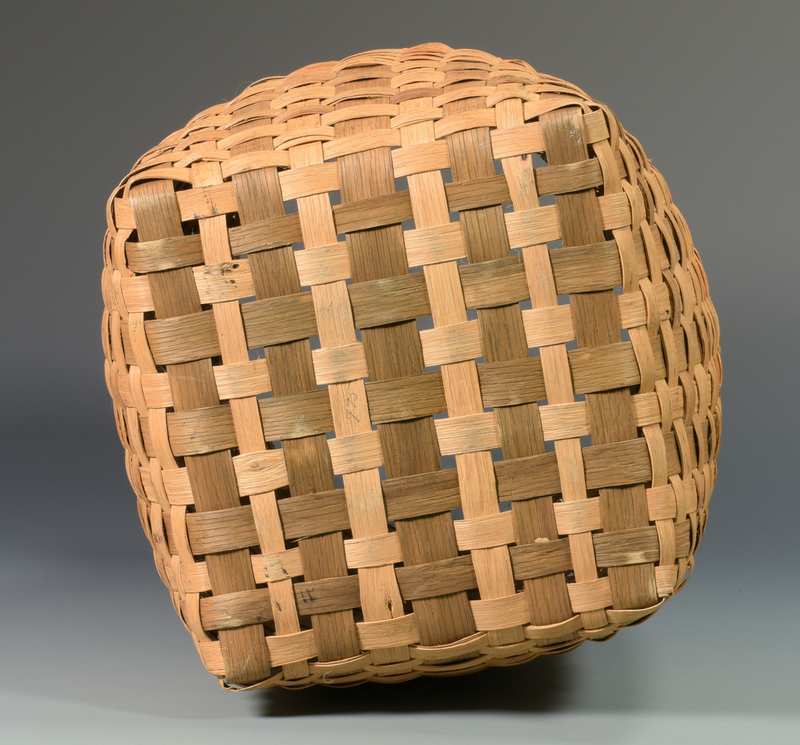 10 1/2" H x 11" W. 4th item: East TN/Appalachian split oak wall/hanging basket form, traces of blue and red stain, breaks at base. 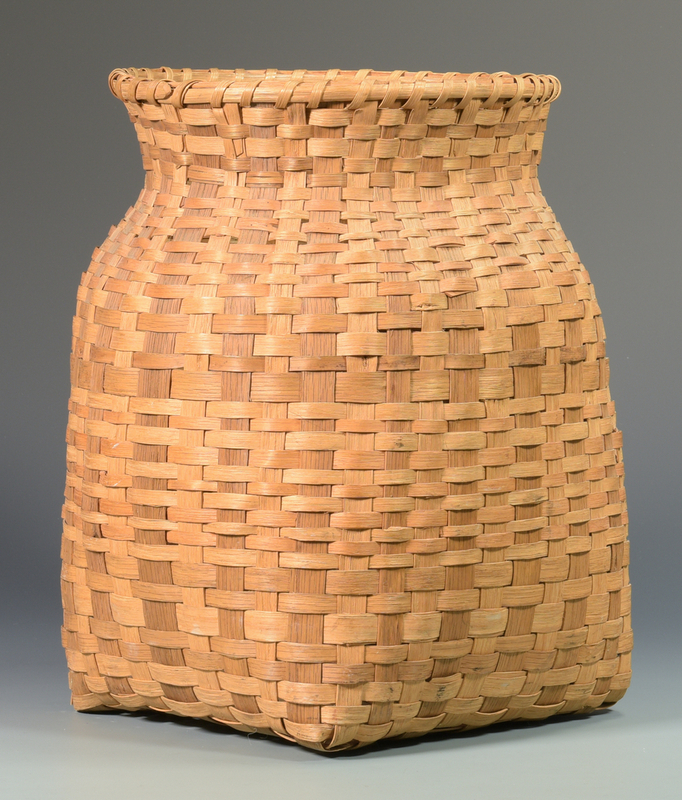 14 1/4" H x 6" W. 5th item: Cherokee storage basket, walnut and red dyed weavers. 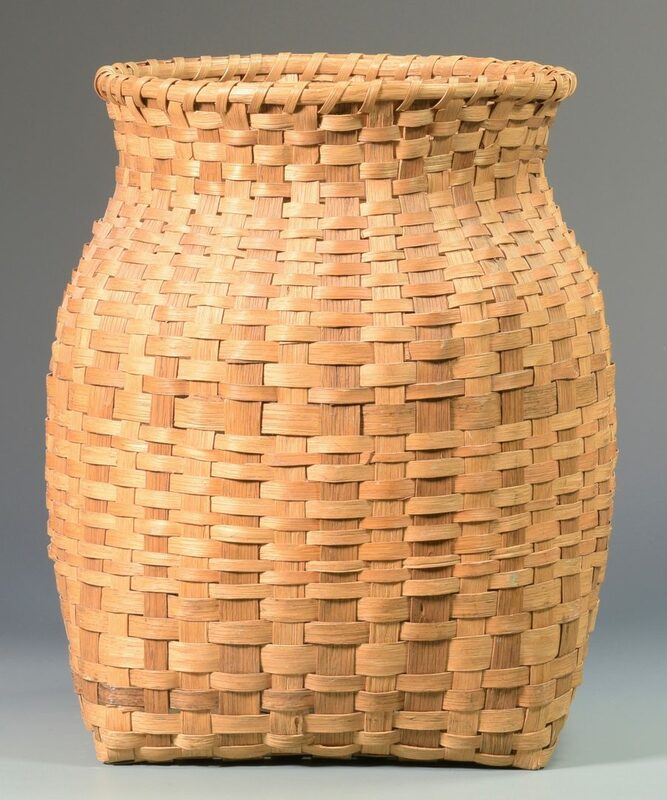 14 1/2" H x 11 1/4" W. All early 20th century. 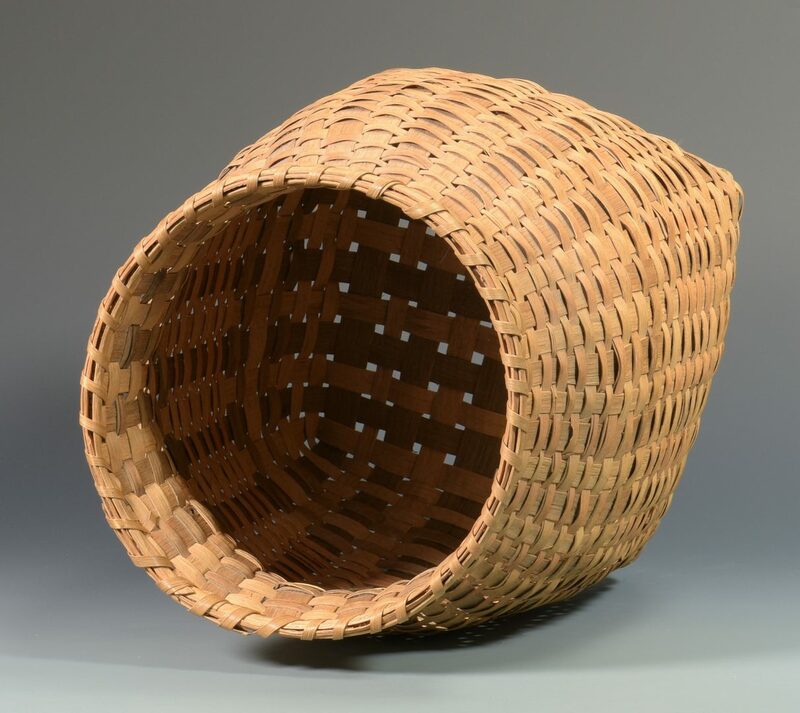 CONDITION: 3rd item: Handle slightly loose. 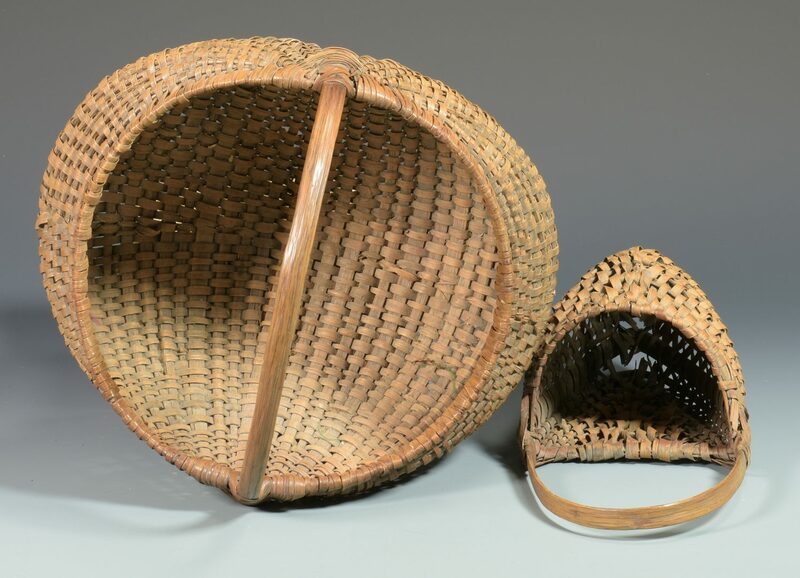 4th item: Bottom point of basket damaged. 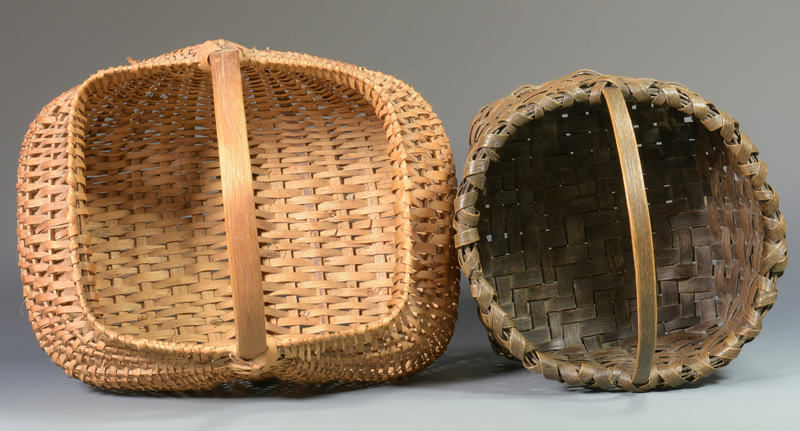 5th item: Fading to dyed weavers.